How do I add more scouts to my Diary mission? 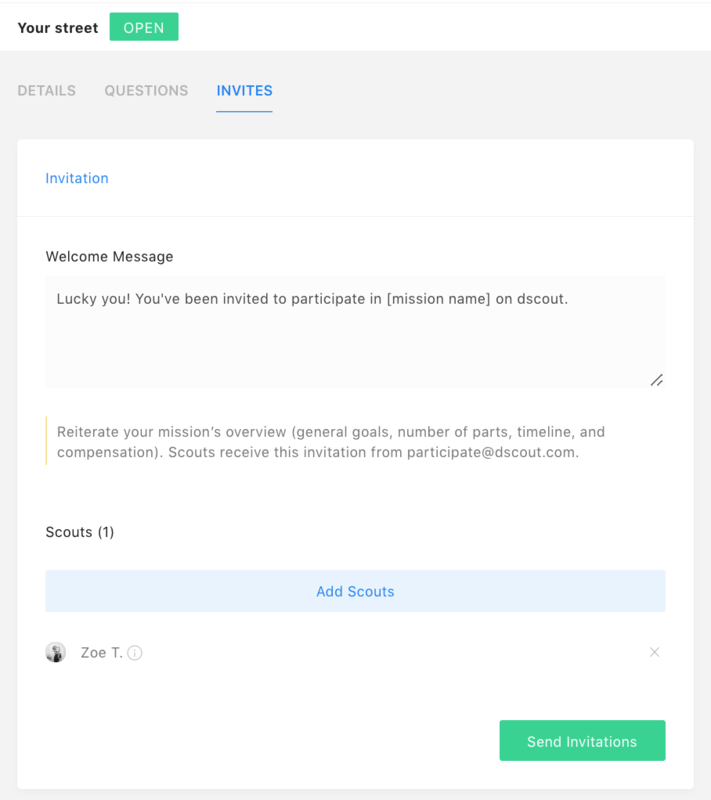 Once a mission is launched, and for as long as it’s open, you can return to the Setup page, then the “Invites” tab to add more scouts. Click "Add Scouts" to select additional scouts to invite from a screener or manually. Be sure to edit your invitation message if any details have changed. Then, click the green “Send Invitations” button under your new scouts' names to invite them. 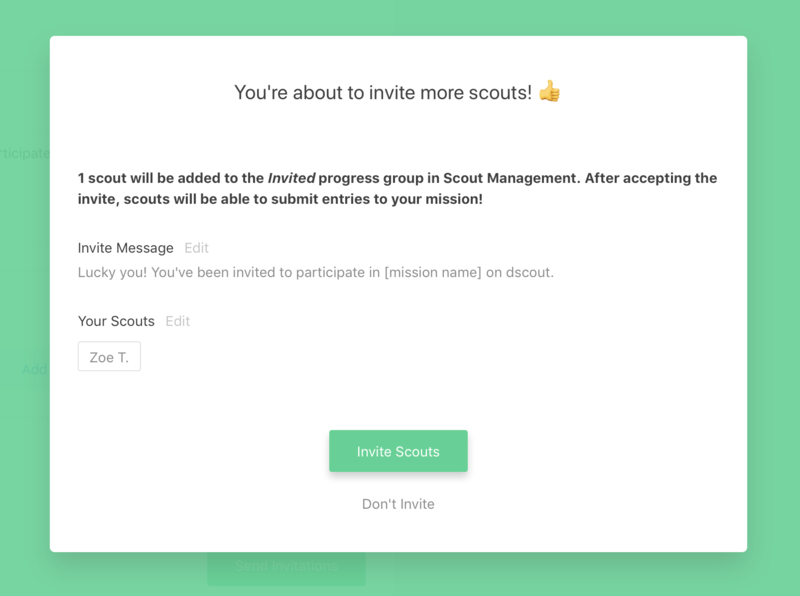 Once you click on “Send Invitations” you'll have the chance to review your invite message and new scouts prior to officially inviting them.